May is supposed to be a quiet time. The school is starting again, there's no public holiday, and everyone is bracing themselves for the coming winter. 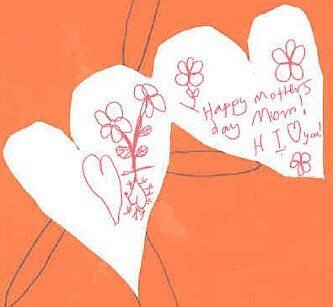 Mother's Day is coming but being more cynical as I grow older, for me it's just a marketing gimmick promoted by every other stores and restaurants that benefit from it. Although I have to say it's very easy to melt when the kids bring home cards with pretty words (albeit provided by their schools). Anyway, what I was about to say was that the end of autumn doesn't have to mean that weekends are flat and uninteresting. After all, taking out doonas from storage could be done any weekday. And the best way to deal with the coming cold fronts is to get used to them. So let's get out there on weekends and embrace the end of autumn. Check out this calendar and see below for the details. When: Sat, 4 May, 10am-4pm. Where: Forrest Place, Murray Street Mal, Perth. Activity 1. Live Sculpture Installations: 6 artists, using 6 materials, working for 6 hours, will compete to create the best art installation. Activity 2: Public Sculpture Zone: The members of the public including you are invited to transform the materials into your own artwork, or add to the community installation. Activity 3: REmida Play Experience: A place for children to play & create their own sculpture. Where: Urban Orchard, Perth Cultural Centre, off William St, Northbridge. Environmental scientist and celebrity gardener Josh Byrne and his team is hosting this autumn harvesting and planting activity at Urban Orchard. If you attended the spring planting event last year, this is an opportunity to reap what you sow, but even if you didn't, there's no reason to be shy about reaping what others have sown. Following the gardening activity, Josh will run a workshop on productive container gardening, perfect for those who don't have a large plot of land for a kitchen garden. You can register here and please bring a hat, drinking water and gardening gloves. When: Sun, 5 May, 12-6pm. Where: Northbridge Piazza, Cnr James & Lake Sts, Northbridge. When: Sun, 5 and 12 May, 10am-3pm. "The White Divers of Broome" is a book by John Bailey about pearl divers in Broome set in the year 1912. This event titled "White Divers of Fremantle" is a mix between an exhibition and children's activities. A special treat would be to watch the live display of hard hat diving (with gears weighing 85kg) into the Swan River; similar to divers of yesteryears collecting pearls around Broome. Booking required at National Trust WA (9321 6088) and sausage sizzle will be on site to raise fund for Telethon. When: Sat, 11 May, 2–4pm. 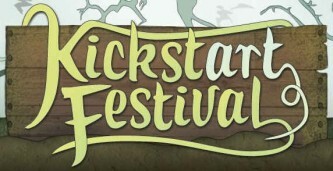 Where: KickstART Hub, 192 William St, Northbridge. Zoetrope comes from Greek words which mean 'wheel of life,' and it is basically a mechanical toy that uses optical illusion to turn multiple static images into a moving image. As part of KickstART Festival, teenagers and youth aged 12-25 years old could join this workshop and learn from Jenna Downing about the earliest form of film. They could even create their own animation loop using this device. Sign up online here. The workshop is free of charge; however registration will require a debit/ credit card details. They will charge $20 if you fail to attend without notifying the organiser (Propel Youth Arts WA, 9328 5855) 24 hours prior. When: Sun, 12 May, 1–4pm. Lex Randolph is an artist and community arts worker and he created an alter ego called Captain Plaknit with the role of a guerrilla crocheter. In this workshop, he would take on anyone aged 12-25 years old and teach them how to make miniature cactus using the basic techniques of finger knitting and crochet. They would look great on your window sills or desks and best of all, they don't prick. Sign up online here and please note that this workshop is also part of KickstART Festival, with the same condition regarding non-attendance. Fancy a stroll by the beach but don't relish going into the freezing water? This could be your excuse of organising a family day out by the ocean without packing your swimming gears. The City of Rockingham holds this art competition annually and for two weekends in May, we could enjoy the outdoor exhibition of sculptures made of re-used materials after they're being judged on Friday, 10 May. When: Sun, 19 May, 11am-4pm. Where: Minnawarra Park, Cnr Armadale Rd & Church Ave, Armadale. 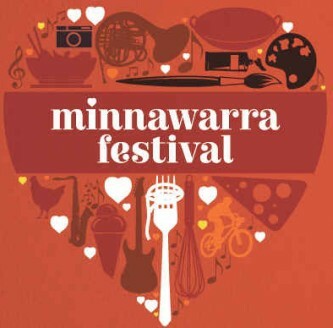 Minnawarra Festival is annual festival held by the City of Armadale to celebrate their diversity of culture, people and place. Consistent with that theme, you will be able to absorb the sights, sounds, and scents from around the world, including food & produce, art & craft, coffee & other beverages, music, and children's entertainment. 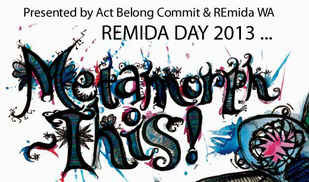 The festival will also coincide with the last day of the exhibition of Minnawarra Art Award at Armadale District Hall. There will be works from WA, national, and international artists. Two special performances by Anthony Maydwell, an international harpist, will be staged with the exhibition as a backdrop. Take note of the time as you don't want to miss this: 12pm and 2pm. Storyteller Glenn Swift is very popular with children and understandably so as he's able to spin a tale that is just right for his audience. This time around, he will be at Kenwick Library so if you're keen to be entertained by his yarn spinning, be quick and book your place at Kenwick Library, 9397 3099. Jazz is not everyone's cup of tea, however you never know whether your family will like it or not until you expose them to it, so pick one of the Perth International Jazz Festival's free stages listed below and be ready to tap your toes to the music. If you have young children, take note that a special kids' concert is to be held at the Perth Cultural Centre stage on Sunday, 26 May at 9.30am. When: Sun, 26 May, 10am-2pm. The Heritage Celebration is a day of entertainment and activities which suit the whole family. At the time of writing, the full program for the day is still being built. However, we had a glimpse of some of the things promised, such as community planting, treasure hunt, vintage cars, arts and crafts, and some old fashioned games that we could introduce to our modern kids. Why? Let's enjoy the end of autumn.